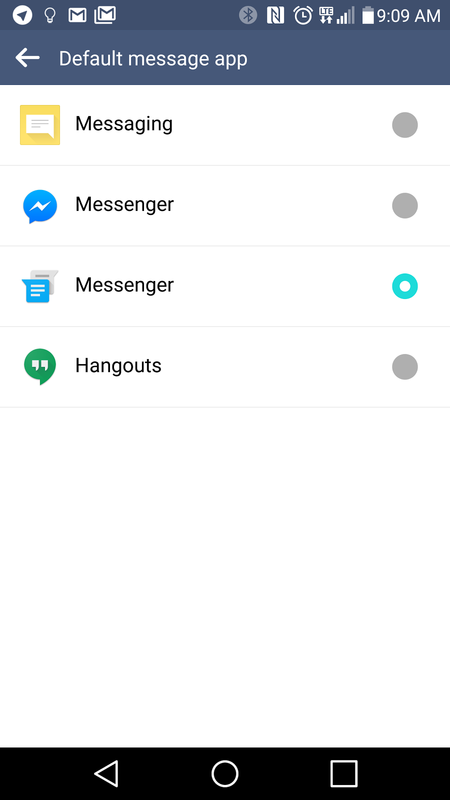 I believe they had done this already, but had taken it out, but it looks like Facebook, wanting to be all the things, is letting you have the option to make Facebook Messenger handle your SMS messages. 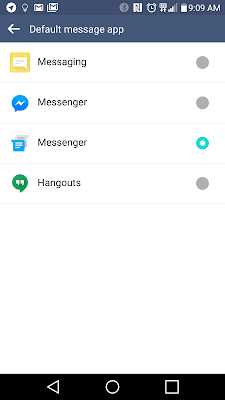 Interestingly enough, I didn't see any option when I last opened up Messenger to ask if I wanted it to handle, so I had to look through my settings to see the default handler. Personally, I don't use FB Messenger enough to warrant it being my handler (and what information is FB getting from seeing my SMS interactions?). But being able to get chat heads would be an interesting way to handle my messages.